This property is called the Old School House which is situated in a rural village in North Lincolnshire. The family that live in the old school house granted permission for us to use the skill of ornamental slating on the Dormers of their property. 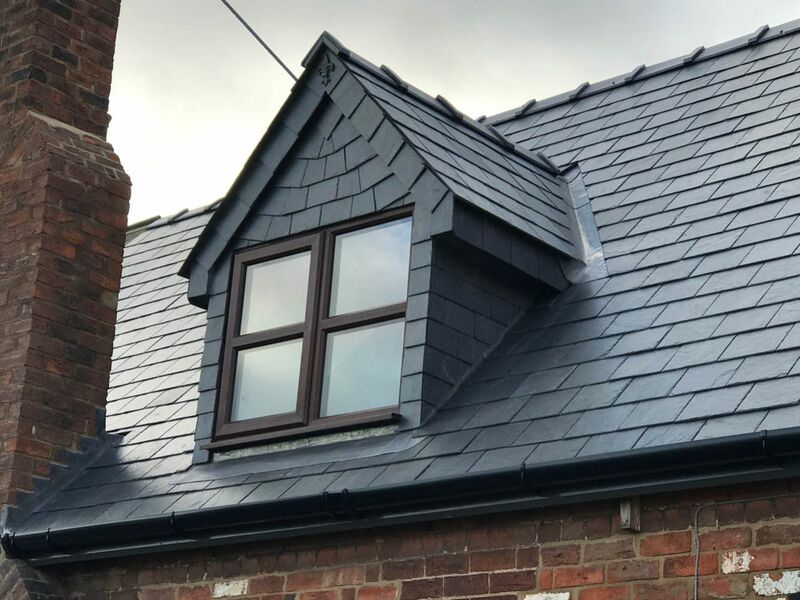 As you can see from the photos these dormers have been fully slated with each slate being cut by hand and hand laid into an ornate pattern called Winchester Cut and Sussex Cut. We have merged both of these cuts to create this look. 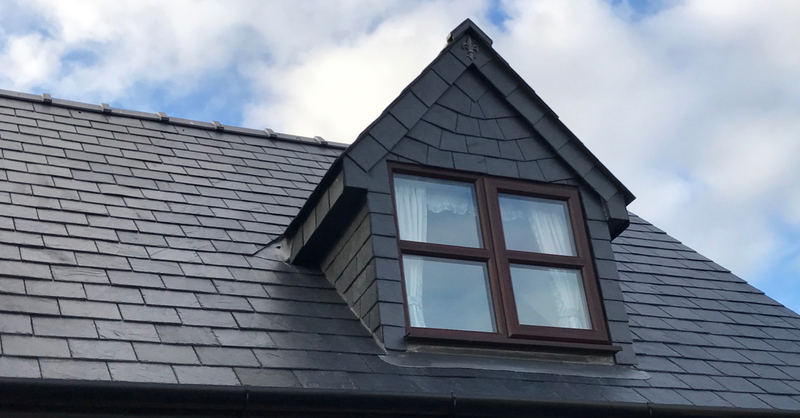 Originally these Dormers was covered in Brown and White PVC Cladding which completely took the traditional feel away from the property. Internally this property bursting with original and traditional features, so we agreed with the owners of the property that we could take the originality and traditional features externally too. We have used a Fleur-de-lis Lead features in the Dormers and also in the ends of the Gables. 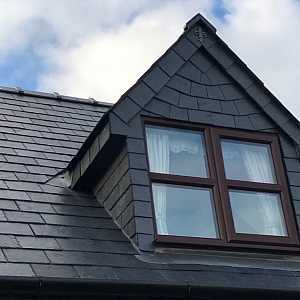 The Ridge tiles have been secretly mortared to create a maintenance free finish to them. 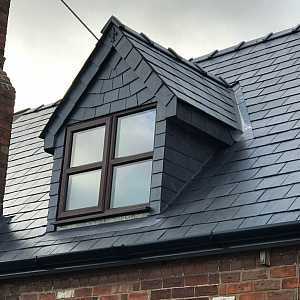 The Material which has been used is a specified Siga39 Spanish Slate.